We are thrilled to announce the first of our new Brand Ambassadors for 2018, the lovely 16-year old Naledi Mokoena. She sees being chosen to be a BH Make Up Studio Brand Ambassador as a blessing and has seen many Brand Ambassadors for many different brands and always thought it was cool to be a part of something like that. She's ecstatic that she got to become one at 16! To answer the question, on why she thinks she was chosen: "I’m a good representation of the brand and have a good brand myself, and maybe, just maybe, because I definitely know a thing or two about makeup. But mostly because they see the potential for me to represent their brand well and so do I". "Being a Brand Ambassador will help me to break out of my shell a lot more than I already have and to just get me out of my comfort zone. I want to be able to assist in the growth of the BH Make Up Studio by putting it out there to different people from all over as it is a great studio with an even greater team. And definitely, show my girls of colour that the BH Make Up Studio is a place for them as well. All in all, I want to grow as a person and help BH Make Up Studio grow as a studio". "It’s such a secret, that not even I’ve discovered it yet. I don’t know, maybe having heightened senses or singing (but don’t ask me to sing because I won’t) or remembering every single detail about a person yet forgetting their name. Yeah, that’s definitely it, if that is a talent". Hoekom sy glo dat sy gekies is as BH Make Up Studio Ambassadeur: "Ek kom baie goed met mense van alle ouderdomme oor die weg. Ek is ook passievol oor die produk en stel baie daarin belang om die beste in mense uit te bring, nie net wat hulle innerlike betref nie, maar ook hulle uiterlike. 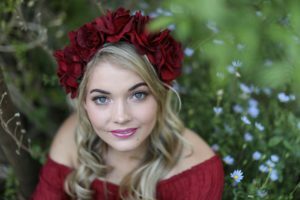 So - ek weet ek kan die produkte en dienste van BH Make Up Studio tot so ‘n mate aan mense bekendstel dat dit vir die kliënte en ook vir die dinamiese eienares Bronwen Hurndall van die besigheid tot hoër hoogtes lei." Watter doel sy hierdie jaar as ambassadeur wil bereik? "Ek sal mense kan aanspoor om die beste self te wees wat hulle kan wees. Omdat ek goed met ander mense kan kommunikeer sal ek my beste doen om lojaliteit te bevorder tussen die kliënte en almal wat betrokke is by BH Make Up Studio. Ek sal ook poog om die produkte en dienste wat hul lewer tot voordeel van alle partye te bemark en goeie verhoudings op te bou met almal wat dee l is van die BH familie." "I heard about a competition that was taking place to become a BH Make Up Studio Brand Ambassador. I took this opportunity and also got encouraged by my sister to do the daily makeup look because I have been told by many people that I am photogenic. Entering the competition would be ideal because of my passion and knowledge about MUD. Unfortunately, I didn’t get in. 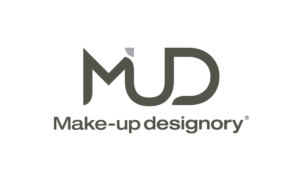 During the course of the year, I think they have noticed the love and passion I have for MUD makeup because I am always posting photos on social media of my daily look or photo shoots with MUD makeup on. My sister is also a well-known MUD makeup artist in Kimberley. I always sit and watch how she does the clients makeup, so I have learned a lot about the makeup from the age of 14 as well as the MUD products. 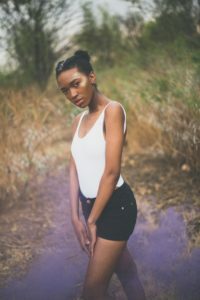 I am definitely a fan of MUD makeup products and this is why I think I have been chosen to become a BH Make Up Studio Brand Ambassador." FYI - did you know Melissa's secret talents include gift wrapping, packing and sorting organization skills and an understanding of admin responsibilities - She's definitely someone you want on your team! This 22-year-old originates from Lichtenburg but now lives in the city of roses; Bloemfontein. 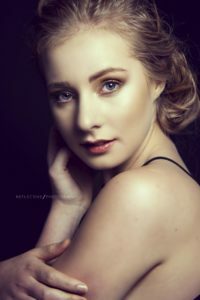 "Being chosen as an ambassador is an incredible opportunity and privilege for me and I am very excited to be a part of a successful business such as the BH Make Up Studio. I believe that I was chosen as an ambassador because I am a spontaneous person who is passionate about the products. I am confident that the BH-team trust that I will be a representation of what they stand and are striving for. I enjoy interacting with people of all ages and am specifically interested in bringing change to the lives of women by encouraging them to have confidence in who they are and to make each and every woman out there feel beautiful and strong. I believe that this can be accomplished together with the BH Make Up Studio and the incredible MUD products". "The BH-team has taught me that all women are pretty without make-up – but with the right make-up can be pretty powerful. I want to be a representation of a woman who is not afraid to be herself. For me make-up is an accessory which enables you as a woman to be an artist, a creator of something that you can be proud of to wear with confidence. I want to encourage all women to invest in themselves by learning to be artists who reflect their own true beauty. I want to inspire women of all ages to wear their beauty with confidence and to take on the world knowing that they are capable of anything. The BH Make Up Studio has invested in me as a person and has thought me that with the right make-up I can take on anything. Therefore, I would like to give back to them by leading women to them, whom they can transform into artists who creates nothing but their own perfection of what beauty is". "I won’t say that I have a specific talent, I believe myself to be a jack of all trades. If I had to choose something that I feel exceptionally well in, it would be baking. I absolutely love baking and creating something that I enjoy making and can feel proud of. The best of all would definitely be to see other people also enjoying my baking!"